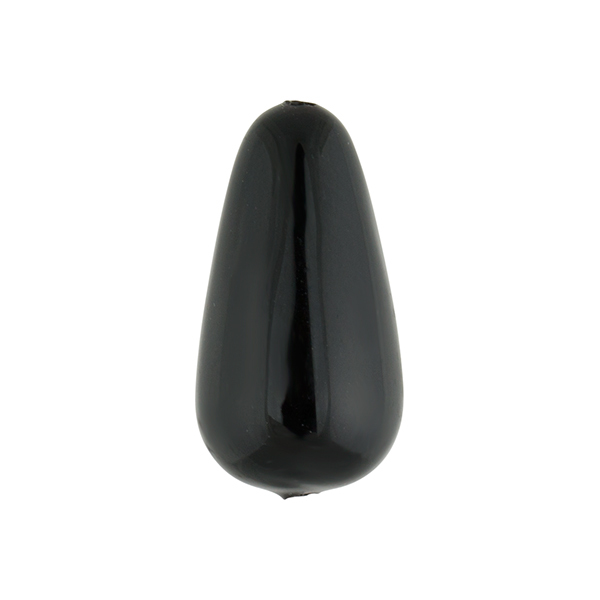 A solid black authentic Murano glass teardrop (known as goccia (drop) in Italian). The size is approximately 20mm and is very useful as a complimentary color in your design of Venetian Glass Jewelry. Schietto is Italian for a single color. Murano Glass Jewelry produced in Venice makes great use of these little shietto as accent beads between the more fancy ones.